A recent Midwinter and Jenesis industry survey revealed just under half of the respondents had chosen not to engage in social media because of the associated risk to their business reputation. Kaplan Professional and Red Marker have been developing the Artemis solution to help financial advisers create and share compliant digital content. Artemis detects ‘risky’ content as it is being created, helping advisers and licensees to identify and remediate compliance risks associated with the promotion of financial products or services. The innovative solution is able to identify risk across a range of media types including web pages, Word documents, PDF’s, and client communications. Artemis is also able to review proposed social media posts to identify content that may breach the corporations law or regulatory guidelines. Kaplan Professional CEO Brian Knight said it was important as ever to ensure advisers were well-equipped to embrace digital communication channels with confidence. “Digital is the way forward – advisers who are able to harness the full potential of these integral communication channels have increased capacity to market services, promote their brand, connect to current clients, and foster new business. “Unfortunately, recent research has suggested compliance fears and reputational risk are limiting its use amongst advisers … a large amount also believe there is a lack of adequate education, highlighting a serious knowledge gap when it comes to engaging clients online. 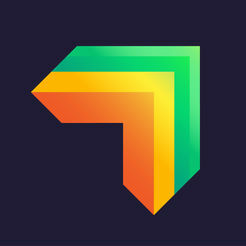 “Artemis not only minimises the risk of publishing misleading content, it actively educates advisers through real-time feedback, just-in-time learning interventions, and professional development opportunities where necessary – I am confident it will help alleviate the perceived compliance fears and difficulty associated with digital and social media,” he said. 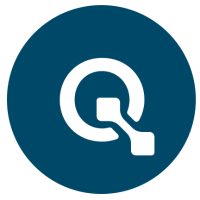 Artemis includes both content discovery and content recommendation functionality, helping advisers to identify relevant trending topics and news. It connects through an API to the major social media platforms, allowing advisers to easily share compliant content with both existing and prospective customers. The platform also has the ability to create custom compliance rules that align with licensee policy and the establishment of streamlined internal approval policies. Red Marker Director Matt Symons said he was excited by Artemis’ potential and the contribution it would make to Australia’s emerging RegTech space. “Australia has an opportunity to become a world leader in this space – Red Marker is one of an emerging group of Australian RegTech pioneers who are showing it is possible to build globally relevant RegTech solutions right here in Australia. “Three years of research and development has gone into Artemis and it continues to evolve with the feedback and support of our clients – we have been amazed by the willingness of the industry to work with us to develop Artemis to this point. “All sorts of interesting opportunities start to open up once you figure out how to dynamically identify risky content as it is being produced,” he said. Although the industry survey revealed only 13 per cent of advisers were satisfied with the level of digital and social media education their licensee was providing, Artemis is currently being used by more than 20 Australian Financial Services Licensees. 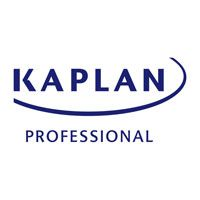 Artemis is receiving tremendous feedback about its unique application and future direction, and Kaplan Professional encourages licensees to invest in further digital and social media education to support advisers confidently and compliantly increase their online presence.